Thousands of people every year are injured in accidents which happen in public places, on privately owned property or on business premises. Such accidents include trips and slips, being struck by falling objects or being injured by faulty gas installations in rented accommodation, for example. The relevant local authority, highway authority or owner of the premises or property you are using has a duty of care to ensure that all members of the public and visitors are reasonably safe whilst on their land or using their facilities. In the UK, most business owners, landlords, companies and public bodies have insurance to cover public liability accidents. Customers: in shops, restaurants, supermarkets and large retail outlets, etc. Clients of businesses or individuals carrying out a service: hairdressers, plumbers, electricians, gardeners, dog groomers, etc. Visitors: people who have gone to a place of business, or where services are carried out, who are not customers or employed at the site. School children and pupils: in nurseries, state and private schools, colleges and universities. Event goers: people watching or taking part in an organised event such as sports matches, trade shows or theatrical performances, etc. General public: anyone who may be near your business or where you are carrying out work. If you think another person owed you a duty of care while you were on or near their premises and you have been injured as a result of their negligence, you may be able to make a claim for compensation. The personal injury lawyers at Wellers are experienced in helping people who have had accidents in all sorts of circumstances. Whether you have slipped on a wet floor at the supermarket, your child has had an accident at the school due to lack of adequate supervision or you have been taken ill or been injured whilst on holiday, we may be able to help you claim proper compensation for your injuries and related financial losses. If you have been injured in an accident please give us a call and let us help you claim the compensation you deserve. To find out how we’ve helped other claimants, you can read our case studies. 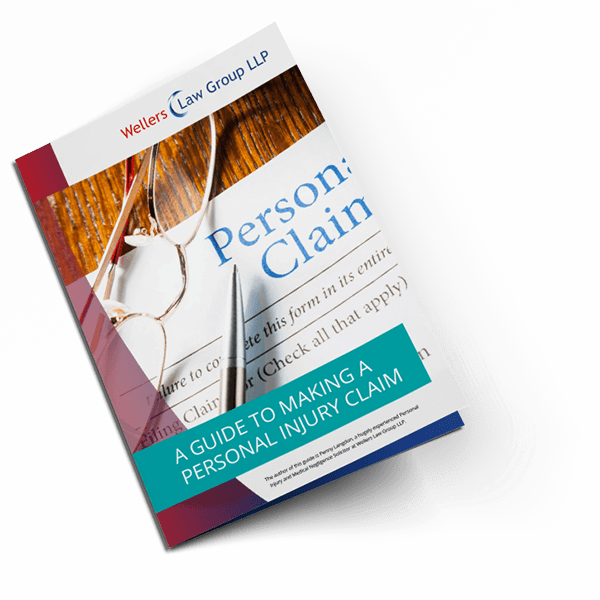 For professional and caring help with your claim contact us on 0208 290 7958 and ask to speak to one of our personal injury lawyers or fill in our short online Personal Injury Claims Questionnaire by following the link or email personalinjury@wellerslawgroup.com.